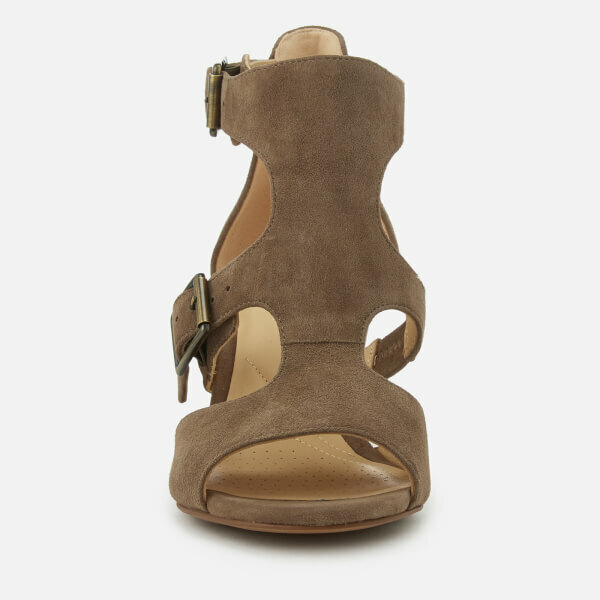 Women’s ‘Deloria Kay’ block heel sandals from Clarks. Crafted from soft olive suede, the high heels comprise a cut-out design with an open toe and buckle straps across the foot and ankle. A breathable OrthoLite® footbed offers superior ventilation and shock absorption, while a chunky stacked heel ensures maximum comfort and stability.